Product prices and availability are accurate as of 2019-04-23 11:53:49 UTC and are subject to change. Any price and availability information displayed on http://www.amazon.com/ at the time of purchase will apply to the purchase of this product. Teach your child the basics of hands washing with this cute faucet extenders. 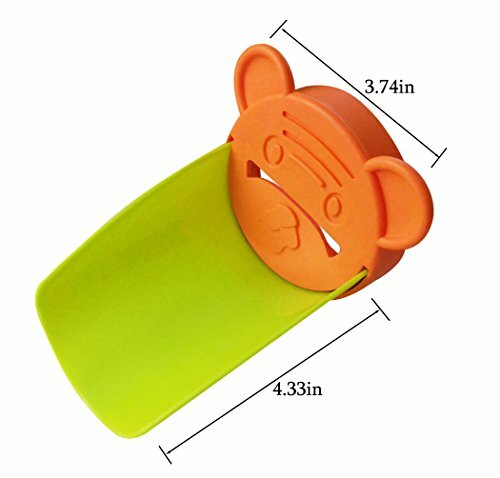 Carefully made to be both convenient and easy-to-use, our Baby Faucet Extender not only makes it easy for young ones to reach the water themselves with the help of the fun colorful shape and design, it also protects little fingers from the sharp edges often found directly underneath most commercial faucets. 1.you must be stand to kids when they are washing hands. 2.Kids can not reach to the faucet. 3.You have to embrace your kids when they wash hands. Faucet Extenders Bring Water Closer to Kids to Make Hand Washing Easier.Note:Please make sure this faucet extender will work for your faucet style before buying. 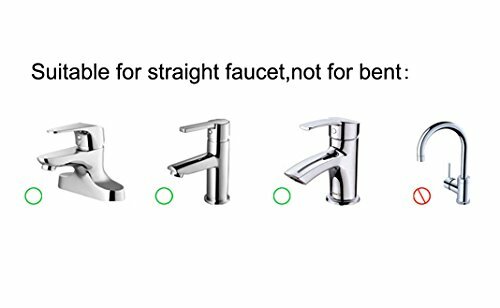 Water Faucet Tap Extender has been designed to fit on most conventional bathroom faucets. Requires no tools or assembly and works right out of the box! Simply take it out, pop it in just seconds on any faucet and watch the good habits start to form! 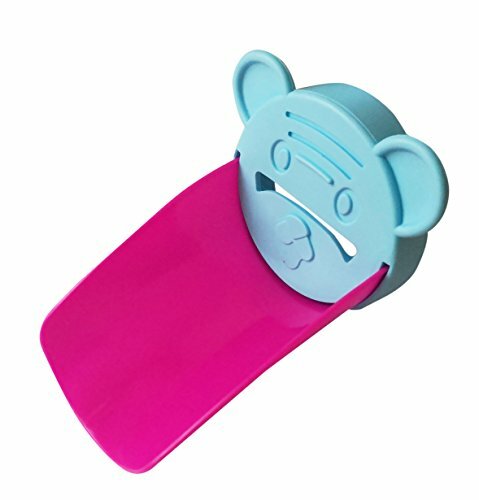 The Baby Faucet Extender integrates a brightly-colored unique design that makes hand washing time fun for your kids! 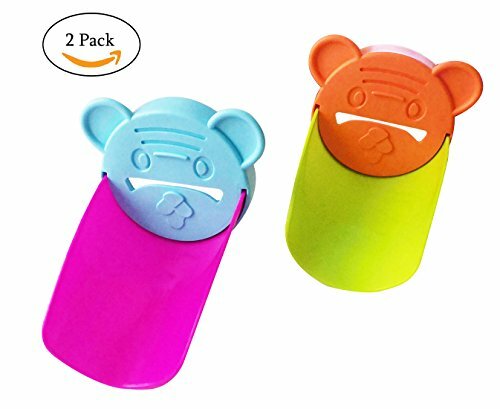 Made from silicone, BPA, PVC and phthalate free.Pack of 2-Blue and Orange.